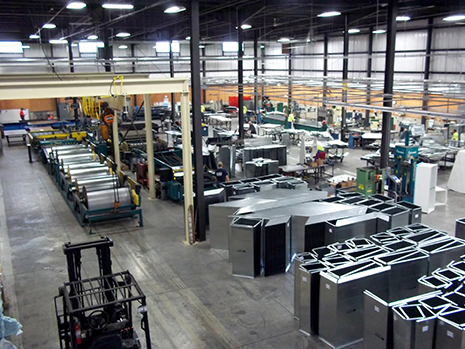 Prefabrication | North American Mechanical, Inc.
NAMI has been a leader in the prefabrication of high quality HVAC ductwork and piping assemblies for more than 20 years. Our prefabrication facilities encompass over 40,000 square feet of automated shops, manned by more than 40 full time skilled tradesmen. 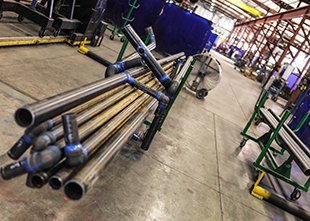 We are capable of producing in up to 2,000,000 pounds of ductwork and 65,000 lineal feet of piping assemblies per year.